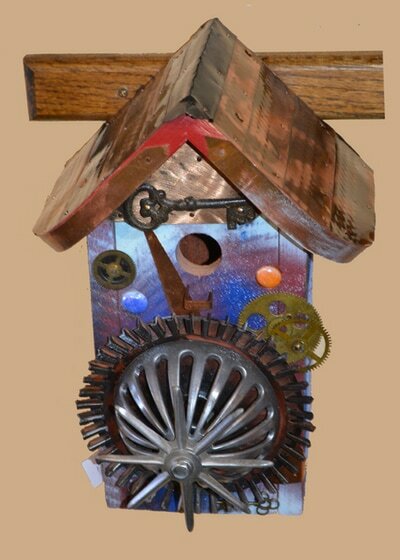 ​Bill spent his earliest years with his grandfather and father in their woodworking shops so sawdust is obviously in his blood! He had some art classes in high school and later went to cabinet making school. 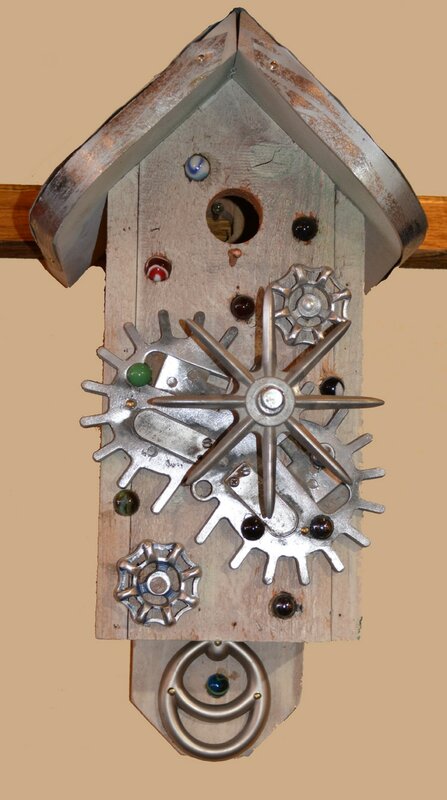 Then he spent some years doing furniture restoration. 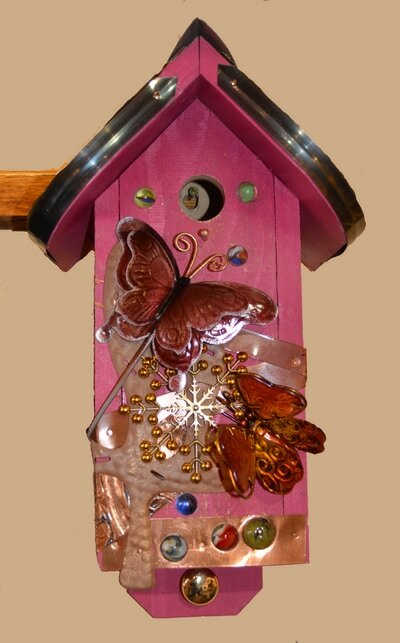 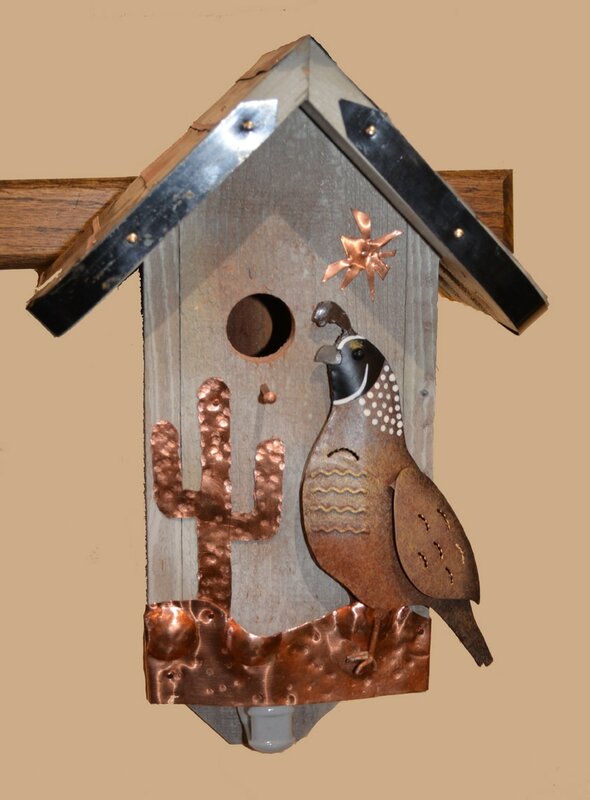 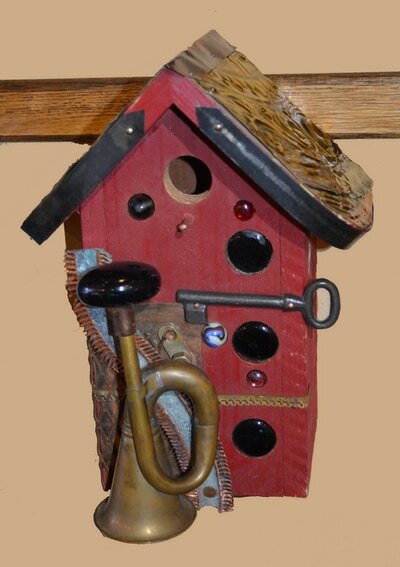 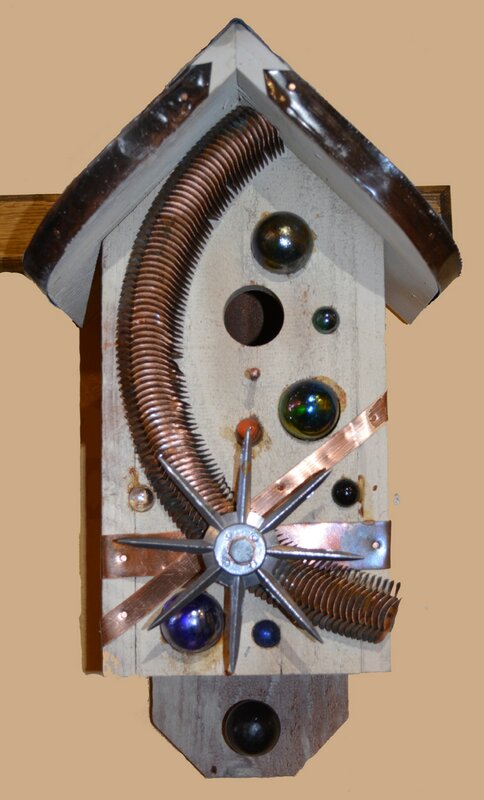 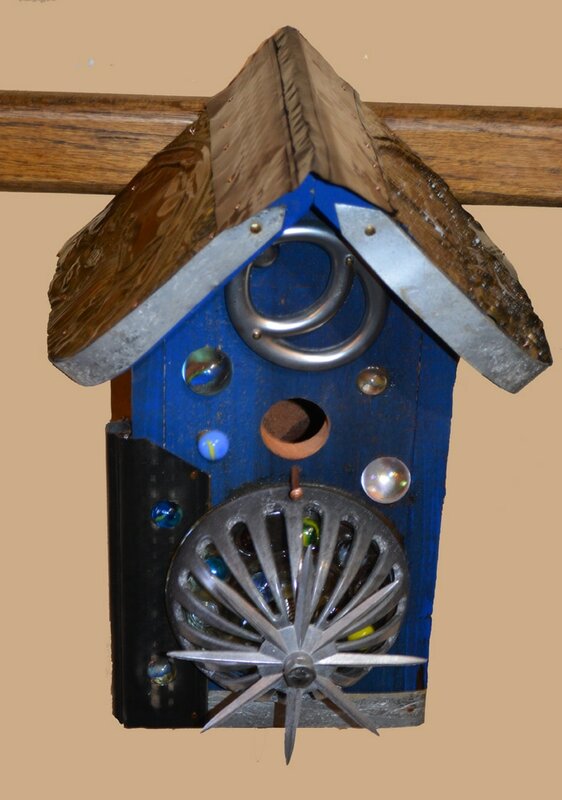 But his skills emerged into art in 2000 when we moved to Sandpoint, Idaho and he decided to make birdhouses. From the beginning, they were always unique and one of a kind. 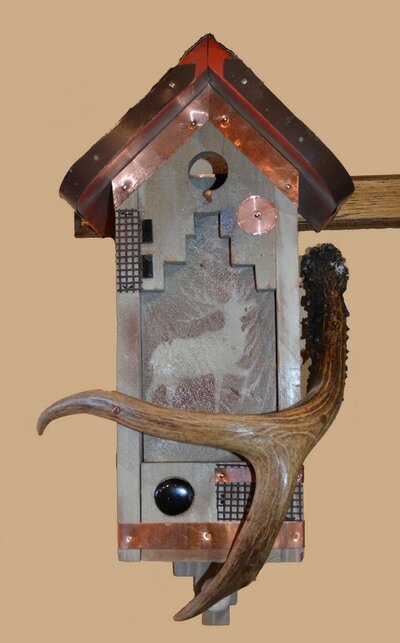 He originally sold them at a large outdoor market in Coeur d'Alene, Id and later put them in several local galleries there. 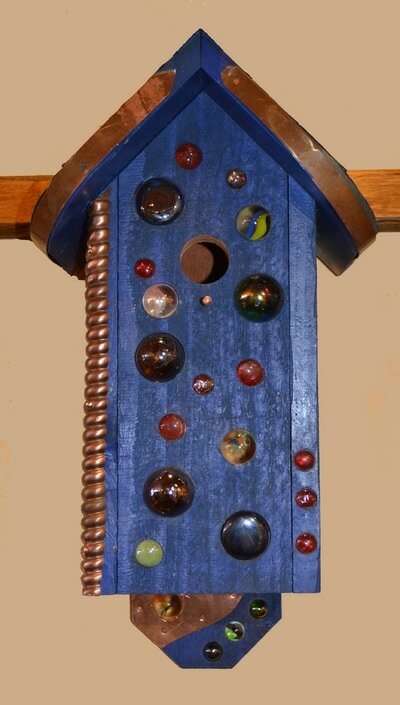 In 2004, we moved to the central Oregon coast where the themes of his birdhouses changed from the Pacific Northwest to the Pacific Coast. 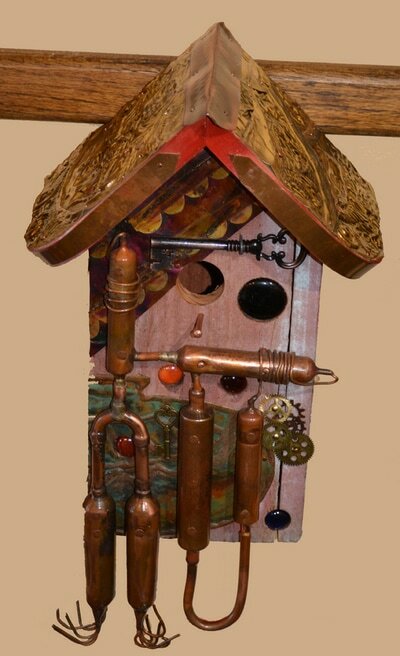 He displayed at the Touchstone Gallery in Yachats, Or as well as the Oregon Coast Aquarium. Our years at the coast saw not only evolution of different birdhouses, but the addition of abstract yard art as well as Native American-style flutes. ​Our move to Arizona in 2014 fueled his desire to become part of the vast art family here and expand his talents into other areas. 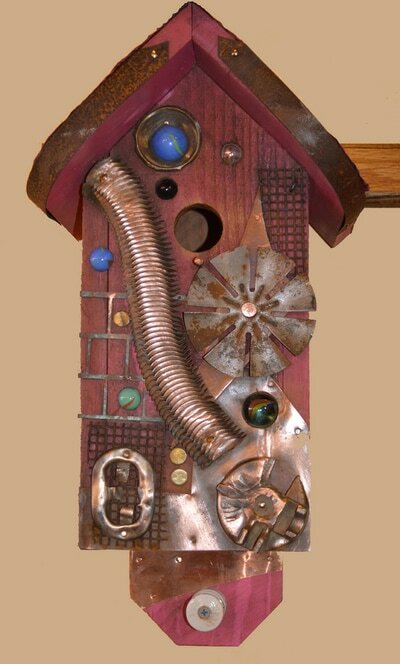 Woodworking will always be a part of Bill and his art. But since coming to this area, adding more abstract art in different forms has become a passion. 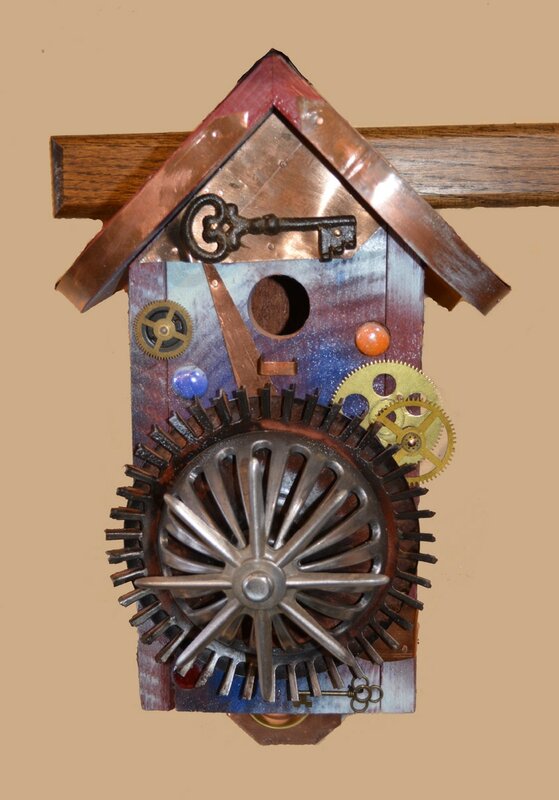 Steampunk metal sculpture has joined woodworking as Bill's current interests.